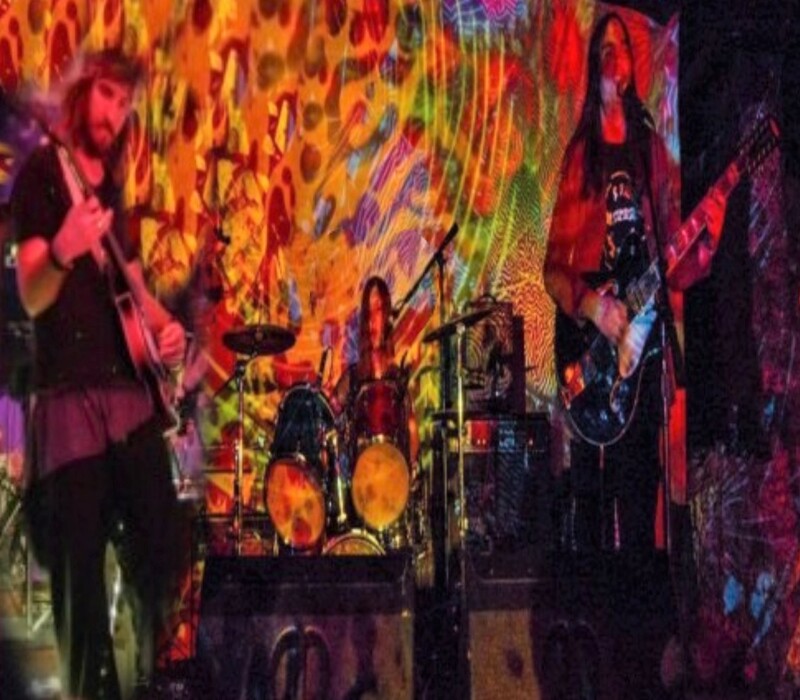 Crown Chakra is a psychedelic rock group. The band formed in early December of 2012 in California and consists of members Dylan Greig on lead & rhythm guitar/vocals, Bethanie Marie on drums/vocals, Keith Dilliplane on bass guitar and Jake Barrett on organ. Crown Chakra has toured the California coast performing at The Emerald Cup in Redway, The Pheonix Theatre in Petaluma, Golden Gate Park [4/20/2015] in San Fransisco, Ocean Grove in Trinidad, The Peg House in North Leggett, McCloud River Lodge, The Blue Lagoon in Santa Cruz, The Trout Farm in Felton, The Monterey Fair Grounds, the Planet Gemini and The Blue Fin, East Village, The Press Club in Monterey, The Dojo in Seaside, as well as the El Verano Inn In Sonoma. Recently the band has played shows at The Fire & Flow in Asilomar (CA), The Eugene Psychedelic Ball and The Black Forest in Eugene (OR), The Liquid Earth Gathering 2017 in Joshua Tree and in San Fransisco (CA) at Golden Gate Park [4/19-20/2017], the Showdown, The Milk Bar, The Bottom Of The Hill, Brick & Mortar and Neck Of The Woods.